FEMINIST BOOK FORTNIGHT is back. The sisters of the TWP poetry collective return to celebrate Feminist Book Fortnight 2019 with a selection of original poems written in response to a wide range of feminist texts, from classic theory to contemporary podcasts. There will be plenty of space to chat, discuss, and buy books! Refreshments will be available - tea, coffee, wine and nibbles, on a Pay As You Feel basis with proceeds going to a local charity we will also be making a collection of sanitary products for our local food banks. What is Feminist Book Fortnight all about? Last year over 50 independent bookshops around the UK and Ireland launched Feminist Book Fortnight, a celebration of feminist books. Independent bookshops around the country highlighted the diversity of women's writing over the two weeks. It was a great success demonstrating a thirst for discussion of feminist issues as well as a wider celebration of women writers. 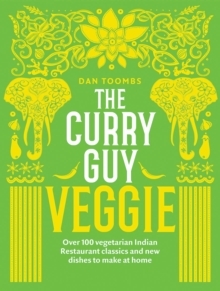 Join us from 10:30 and come and say hi to James. You can either find out all about the start of Arianwyn's adventures (in which case don't read below, or get the final installment. Either way, signed copies will beavailable! The war is over and Arianwyn has discovered the secret of the quiet glyphs, but her troubles are far from over. Her day-to-day work as Lull's witch is tricky enough: winter has set in, bringing bad weather, ice imps and befuddling Yule traditions. 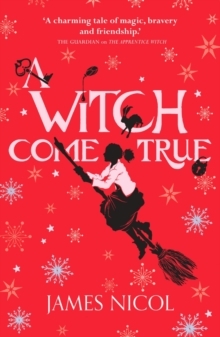 But when Arianwyn's grandmother is abducted by the traitor on the Council, our witch faces her greatest challenge yet. Local Author DAN SMITH will be signing copies of his latest adventure stroy SHE WOLF, before joining our Book Worms reading group for a Q&A - you'd be barking to miss it! 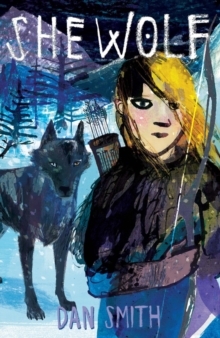 Northumbria 866 - Action, adventure, wolves, snow ... this story has EVERYTHING! Washed ashore on a frozen English beach, Ylva's survived. She will not cry. She's meant to be strong. She's a Viking. But when her mother dies at the hand of a three-fingered man, and the wolves of the forest circle closer, Ylva will need more than the memory of her mother's stories to stay alive. Can she shape her own legend? Will it end in revenge - or is there another way? 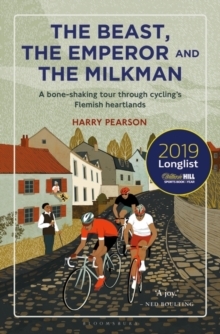 Sportswriter, HARRY PEARSON is signing copies of this latest book THE BEAST, THE EMPEROR AND THE MILKMAN, from 11am before cycling off to the terraces to watch Stockton Town FC. Blending reportage ,interviews, observation. biography and history and written with affectionate humour this book tells the story of Flanders' neurotic love affair with bike racing. Flanders is half the size of East Anglia with a population a tenth of that of Britain, but it have produced EIGHT winners of the Tour de France and has five times as many professional riders as Italy or Spain. 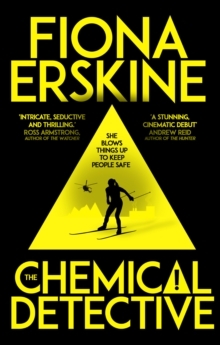 For fans of Killing Eve and Orphan X comes the electrifying Chemical Detective. Dr Jaq Silver. Skier, scientist, international jet-setter, explosives expert. She blows things up to keep people safe. Working on avalanche control in Slovenia, Jaq stumbles across a problem with a consignment of explosives. After raising a complaint with the supplier, a multinational chemical company, her evidence disappears. Jaq is warned, threatened, accused of professional incompetence and suspended. Taking her complaint further, she narrowly escapes death only to be framed for murder. Escaping from police custody, she sets out to find the key to the mystery. Racing between the snowy slopes of Slovenia and the ghostly ruins of Chernobyl, can she uncover the truth before her time runs out?